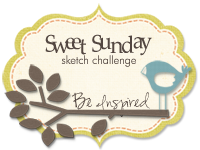 It's time for another Sweet Sunday Sketch Challenge! Here is the deal: make a card with this layout and use the InLinkz button down at the very end of this post to enter your card. The links will close in two weeks, next Friday at 10 PM (Mountain Time). 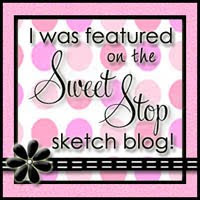 Be sure to link directly to the blog post or gallery image which features your card. 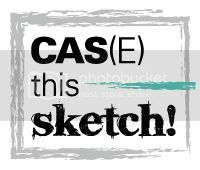 You may post a picture of the sketch on your blog, but please save the image to your computer first. Use the keyword SSSC186 if you plan to post your card in an online gallery. 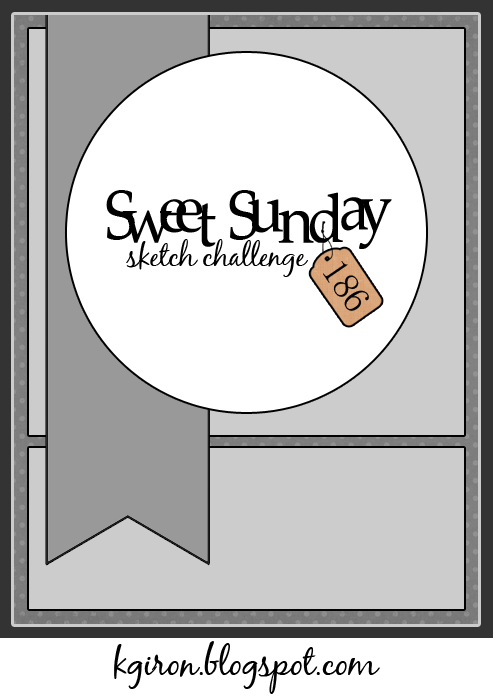 So I never did make a card using the last sketch, which I knew I wouldn't once I started making Teaser cards for My Favorite Things. I really did have the best intentions to make one, but time slipped away once again. My apologies! I do have a card for you today though! Yay! 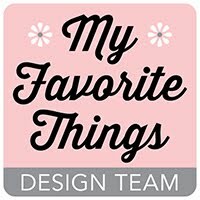 This card uses Bold Statements from My Favorite Things and you can actually earn this set for free starting June 11th - you can see all the details about that right HERE. I started by cutting out a Circle STAX Die-namics in Smooth White Card Stock and then stamped two of the sentiments in Electric Red Ink and Black Licorice Ink. The patterned paper is 24/Seven 6x6 from Simple Stories and I used a Fishtail Flags STAX Die-namics to cut the red paper from the pack. On the inside of the card, I took a single sentiment and carefully inked up the different words in different inks. I used the corner of the ink pad to ink up the stamp. You could also create this look by masking off your stamp when you ink it up. Love that big bold sentiment! Awesome card! This is clean, colourful, and creative! It's perfect! Great sketch and card GF! Love the bold sentiment stamped in the two different colors--looks great! 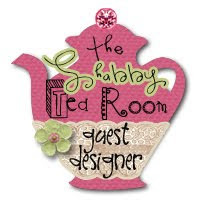 Your card is FAB!! I can't wait to get that new set for free!! :)) :)) Love when the sketch has a circle on it!! Woo hoo!! 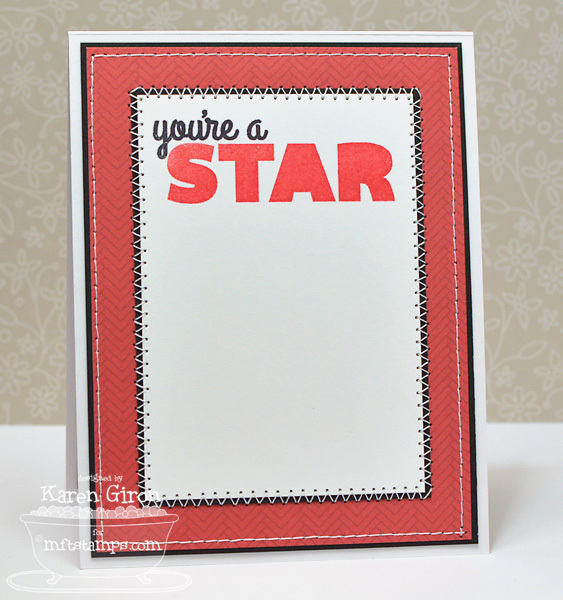 Beautious sketch, beautious card -- you are a star! 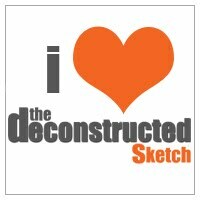 I loved this sketch too Karen, I really like the big bold sentiments. Fun colors and card!!! can we have to use any particular stamps? 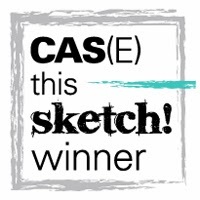 That big sentiment is perfect for this sketch. Sorry I couldn't play along this week!